Having a dependable pediatric urgent care provider in the North Dallas, Texas, area is crucial, because between school and soccer practice, kids need to feel their best at all times. Thankfully, there is Sinai Urgent Care. Our team of friendly and experienced medical professionals specializes in providing non-emergency medical care for families who’d rather not wait days or weeks for an appointment with a primary care office. Whether your child has caught a stomach bug from a classmate or needs treatment for a broken bone, we are ready to provide the care he or she requires. 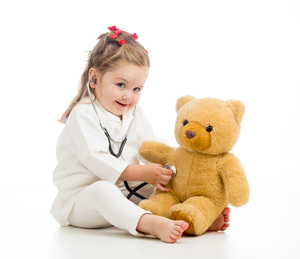 Our medical professionals have experience addressing a range of issues, from sinus problems and ear infections to sprains and minor burns, all while making children feel comfortable and at ease. Our exam rooms even feature TVs, so your child can enjoy his/her favorite cartoons. The quantity of the pediatric health care services we offer is extensive, but it’s the quality of our services that sets us apart from other walk-in clinics. Our medical professionals take their time when treating patients, and offer truly personalized care that surpasses that of many large urgent care franchises. Our health care services are sensibly priced. We accept all major insurance providers, as well as Medicare and Tricare, and offer a discount program for uninsured patients. At Sinai Urgent Care, we are eager to show you why so many families in North Dallas, TX, trust us for pediatric urgent care. We gladly offer convenient weekday, weeknight, and weekend hours, and never require appointments. To expedite your visit, try our easy online check-in system.